My paper "Normative Theorizing about Genetics" is now out in the latest issue of the Cambridge Quarterly of Healthcare Ethics. 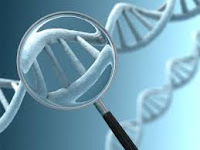 Genes are special, from the perspective of theorizing about justice, because they (1) have been neglected in our normative theorizing (and thus warrant special attention to redress this neglect so that we are better prepared to fairly regulate new genetic technologies), (2)are unique resources and thus require the normative theorist to develop a skill set that is unique from the skills required for tackling the distribution of external resources like wealth, and (3) play an important role in the development of a wide range of valued phenotypes. ....First, the role genes play in the development of important phenotypes (like health and intelligence) has largely been ignored by theories of distributive justice. Historically this neglect was unproblematic, as the prospect of genetic intervention seemed mere science fiction. But now these technologies have become a reality. So in one important sense genes are special in that they, unlike the distribution of wealth and income, have been ignored in our normative theorizing. In order to develop a more balanced account of justice, one that gives attention to both the genetic and the environmental factors that influence the natural primary goods, we need to make genes special in our normative theorizing. Without doing this, we are unlikely to redress this deficiency in our theories of justice, and we thus risk jeopardizing a just regulation of genetic technologies. We cannot simply take theories of justice that have been designed with the distribution of wealth and income in mind and add genetics (what I referred to earlier as the “add genetics and stir” approach). Taking human biology seriously will require us to rethink, at a foundational level, what the demands of justice are. ....A second reason why genetics are special is that they are what we might call unique resources, and as such they require special attention from normative theorists. The genes we possess are the product of the evolutionary history of life on this planet, and they are an integral part of our biology. Genes are not distributed like wealth and income. The latter are primarily influenced by the political economy of society. The levels and kinds of taxation that a market-based economy implements, for example, will largely determine what the pattern of socioeconomic goods is in a society (e.g., equality or inequality). In the case of natural endowments, the pattern of genetic endowments that arises in any given society will be mostly influenced by (1) the evolutionary history of the human species, (2) the reproductive decisions of the members of the society in question, and (3) environment, as revealed through the recent findings of epigenetics. that there is a significant genetic component at play in healthy aging.